Puma BMW Team Trainer II Sneakers - PRICE REDUCED ! 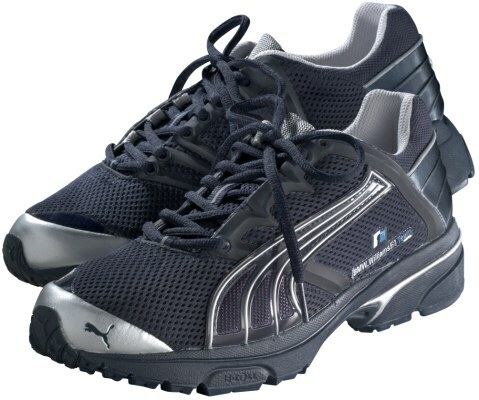 << Back Puma BMW Team Trainer II Sneakers - PRICE REDUCED ! THE LAST FEW AVAILABLE ! Puma BMW Williams F1 Team Trainer II Shoes. Team Trainer, Model Agreus, Blue. BM Williams Team logo embroidered on the side, Puma cat embroidered on the back and on the front and Puma no. 1 logo embroidered on the tongue. Low trainer with mesh elements. Black PU sole, white intermediate sole. This is of course official Puma BMW Merchandise. We offer FREE shipping to ANY destination in the world on this item but, given its value, we advise you to take the optional insurance (available at check-out) on it. Read more about our shipping options HERE.